Religious liberty flows from who we are, not from the fickle will of the state. The universality of liberty must be grounded not in things that change, but in things that don’t change. Universal human truth. 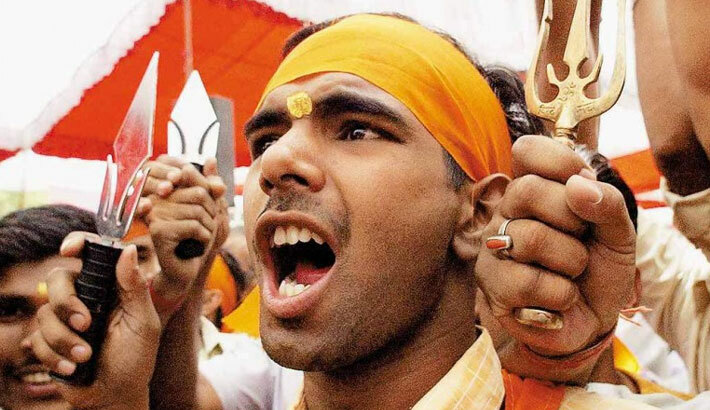 Religious defamation laws require the state to decide what is true and what is not. Defamation is itself a legal mechanism by which truth-seeking is essential. Defamation of religion requires no fact-finding, it requires moderation of ideas, thus requiring the state to determine which ideas are acceptable and which are not. Why are defamation of religion laws/ anti-blasphemy laws only exercised upon minority faiths, wherever they are? Defamation of religion laws / anti-blasphemy laws always suffer religious minorities and dissenters. In India, Hindu majority, Christian, Muslim minority. In Sri Lanka, Buddhist majority, Christian, Muslim, Hindu minority. In Pakistan, Egyptian majority, Christian, Baha’i minority. In Turkey, secular majority, practicing Muslim, Christian/Orthodox minority. Defamation of religion laws are distinct from other defamation laws because they do not protect persons, good faith speech, or dissent. Religious defamation laws do not protect the truth. Unlike with regular defamation laws, the “truth is not a defense,” as in the case of Pastors Daniel Scot and Danny Nalliah in Victoria, Australia. At 4th session of Human Rights Council in 2007. Sudan stated the Danish cartoons lead to a “wave of anger among Muslims” as evidence of how failure to guard against religious defamation engenders human rights abuses. That is notably different from the cartoons leading to a wave of anger against Muslims. Being lead to feel anger is not a human rights abuse. There’s a fundamental viewpoint disagreement regarding whether religious intolerance is the right of private citizens. For Example: Nazis marching in Peoria; Satanists advocating child sacrifice; Christians who say that Hinduism is idolatry; Muslims who believe that Jesus is not the Son of God, Hindus who says Muslims are propagating beef consumption. We would act in the first two instances against the underlying action being advocated – against fascism, against child sacrifice. In the last two, the underlying action is the idea itself. So defamation of religion laws don’t protect against danger; they protect people from hearing ideas they don’t like. To overcome such instances, country like India need to discourage all kind of acts leading to vilification of one's religion, race, creed, belief and sexual orientation through a collection of omni present laws and deploying them effectively through out the land till the jurisdiction limits it. Second Step, Collect all the existing laws under single basket and term it "National Anti - Vilification Policy (NAVP)". Wherever, an amendment is required like in the case of homosexuality practices, a crime under IPC 377 should be discussed within the political quarters, seek out a people's referendum if it's required, and then should be added into NAVP with mass consensus only. Third Step, train the law enforcement agencies and legal fraternity across the nation to adopt and adapt NAVP into their day to day duties. Fourth Step, implement NAVP Compliance Certification System at the work places, both public and private. Ensure a yearly audit of the firms. If a certain number of complains are received from one particular organization in a one financial year, initiate probe and enforce tax penalty based upon the findings. Also, direct the organization to bear the cost of staff re-education on NAVP subjects. Fifth Step, consider any document provided by complainant on any act of vilification occurred on Internet, chat rooms, VoIP, social media platforms as a valid proof to initiate investigation against the vilifier under statutory IPC codes. To have more effective monitoring and greater control, all foreign social media sites with maximum number of Indian citizen's data should be directed to install their data servers in Indian soil, complying with Indian laws. Sixth Step, once investigation is done and if the guilt has been proved under Civil Provision or Criminal Provision, link the vilifier's record to his/her Aadhar ID Verification Portal (https://resident.uidai.net.in/aadhaarverification). And, make it available to those as NAVP Records in the form YES/NO, whenever certain verification queries are raised by any prospective employers at the terminal. Seventh Step, to make sure all above "Six Steps" work in tandem, implement Uniform Civil Code and abolish all personal laws based on the scriptures and customs of each major religious community in the country with a common set governing every citizen. Period! The argument that proof of intention to incite an hatred ought to be a requirement for securing a conviction under the criminal provisions derives from the common law concept that the element of mens rea (literally “guilty mind”) must be present to justify the imposition of criminal sanctions. Satisfying this requirement in any criminal prosecution usually entails proof of criminal intent or at least reckless indifference by the accused to the consequences of the proscribed behavior. The counter-argument is that public acts of vilification on any of the prohibited grounds ought to be criminalize whether or not there is intent or recklessness, because of the destructive message that would be conveyed to society if those acts went unpunished. When question of defence comes into picture, one has to be clear about Indian Penal Codes i.e., liability offense codes are framed in identical terms to the criminal offences but without the element of intent. If the proscribed conduct is merely “likely” to incite racial animosity or racist harassment or to result in racist harassment, the offence in each case will be proved. The word “likely” is usually associated with the civil standard of proof, and its appearance in a criminal statute might be considered anomalous. Further, there are defences that are available to a person accused of committing any of the strict liability offences, which are not available to persons accused of the intentional offences. In essence, these defences excuse conduct that is done “reasonably and in good faith” if the conduct was either a fair report of a public act, or a communication in respect of which a defence of absolute privilege would apply in defamation proceedings or a public act, done reasonably and in good faith, for academic, artistic, scientific or research purposes or for other purposes in the public interest, including discussion or debate about and expositions of any act or matter. The availability of these defences can provide an accused person with the opportunity of using the proceedings to grand-stand and repeat the vilificatory conduct in the court-room with impunity. A human right, not just a constitutional right but, an universal moral limit on the government’s power and also an universal moral reason for the government to ensure the sustainability of pluralism and diversity within the society. If Government can't, then who can.